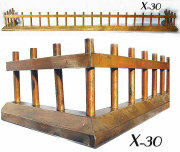 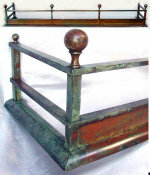 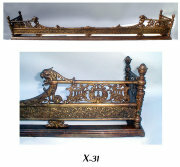 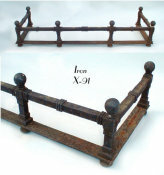 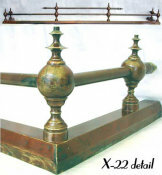 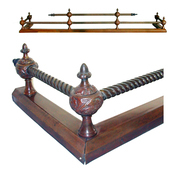 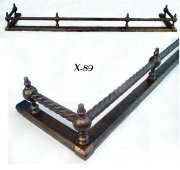 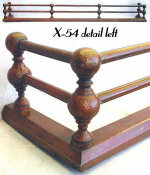 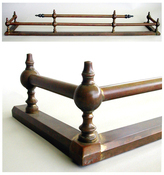 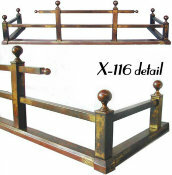 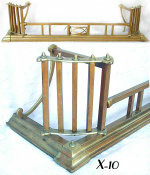 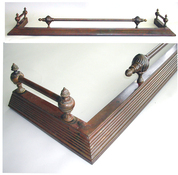 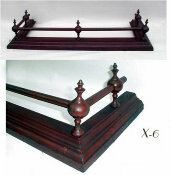 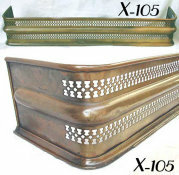 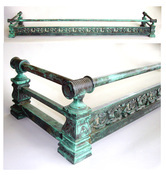 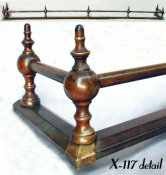 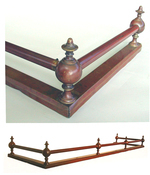 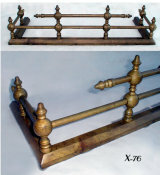 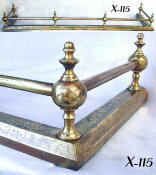 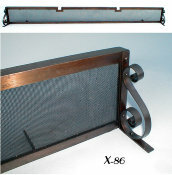 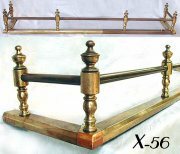 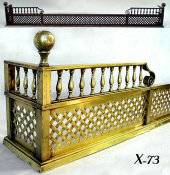 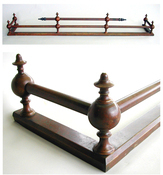 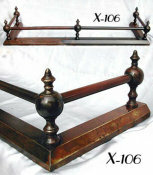 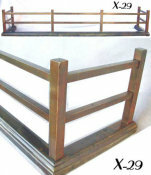 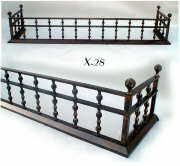 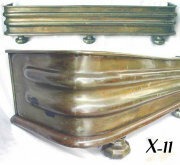 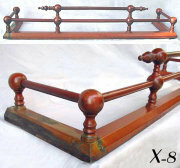 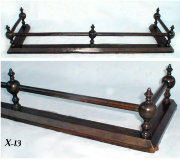 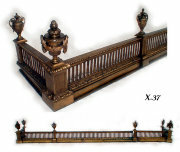 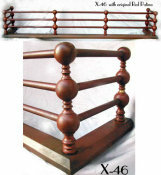 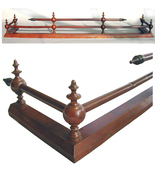 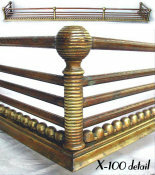 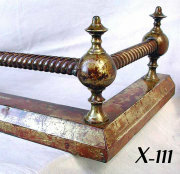 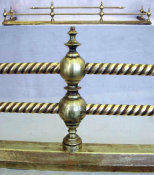 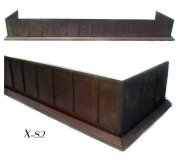 19th Century antique grand fireplace fender with original fine caramel colored patina. 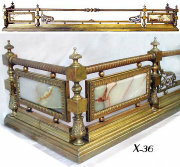 With forward facing inset panels of cast floral and leafy decoration, supported by two custom corner-curved “barley twist bars”. 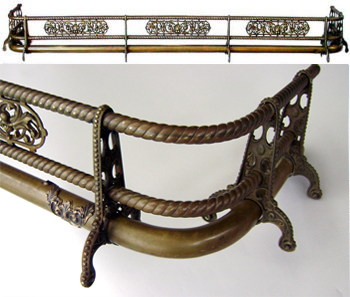 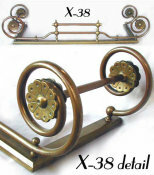 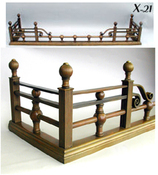 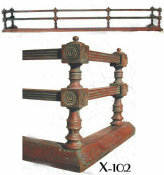 With 8 decorative and functional cast footed supports with intricate floral and leafy decoration pierced by the barley twist bars and one larger custom corner-curved lower bar. 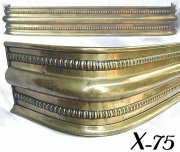 Cast ornate applied corner decoration.